Amid an FBI investigation involving Adidas and a number of schools as well as calls from fans and media toward the NCAA about the need to pay players, it doesn’t seem like that is negatively reflecting TV viewership. In fact, the quartet of CBS, TBS, TNT and truTv are seeing historically high numbers as the First Round of the NCAA Tournament finished Friday night. The official March Madness Twitter account, @MarchMadnessTV, posted that viewership for the First Round “averaged a 6.1/14 metered market household rating/share.” Tying with 2015, it is the highest rated First Round of the tournament since 1991. This follows what was reported the day before. Thursday’s games resulted in a 6.0 overnight rating, falling just short of the 2015 mark but finished second highest since 1991. Friday’s coverage bumped up the average over the entire round and put the overall number equal to 2015 and tie a record high. It’s difficult to determine why ratings are up this high. Just off of pure speculation, one reason could be the increase of states that have legalized sports betting over the past year. Whether it’s a bracket challenge or straight up betting on the games, March Madness is one of the biggest gambling sports events of the year, even back when it was only legal in Nevada. Despite the NCAA publicly opposing gambling on these games, the more states that legalize sports betting will probably bring in more gamblers and more people interested in watching games they may not usually watch. 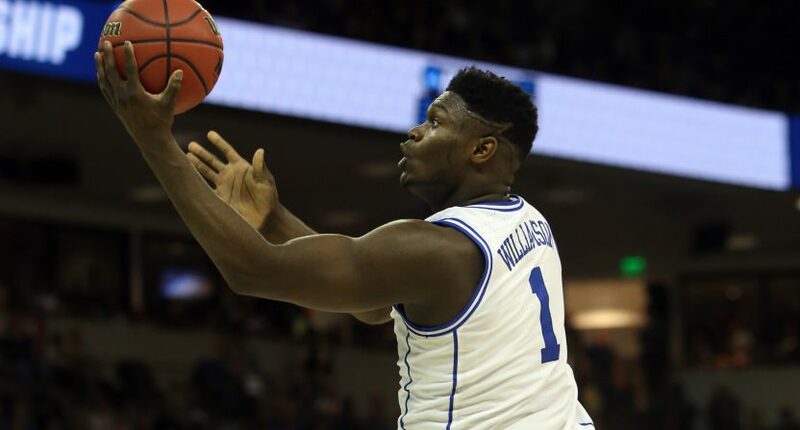 Another reason could be Duke’s Zion Williamson. Williamson is someone who has transcended to a level where he is must see no matter when he plays. That could help explain the 7.7 overnight rating across all four networks during prime time Friday night, which was the highest in that prime time window since 1991. North Dakota State and Duke played on CBS while Georgia State and Houston was on TBS. A Liberty upset over Mississippi State on truTV probably brought in viewers looking to see a close upset and then Iona vs. North Carolina was on TNT. Duke and Zion along with a 12-5 upset and North Carolina playing in prime time, that kind of action is big for ratings. Time will tell if they can keep the momentum going.